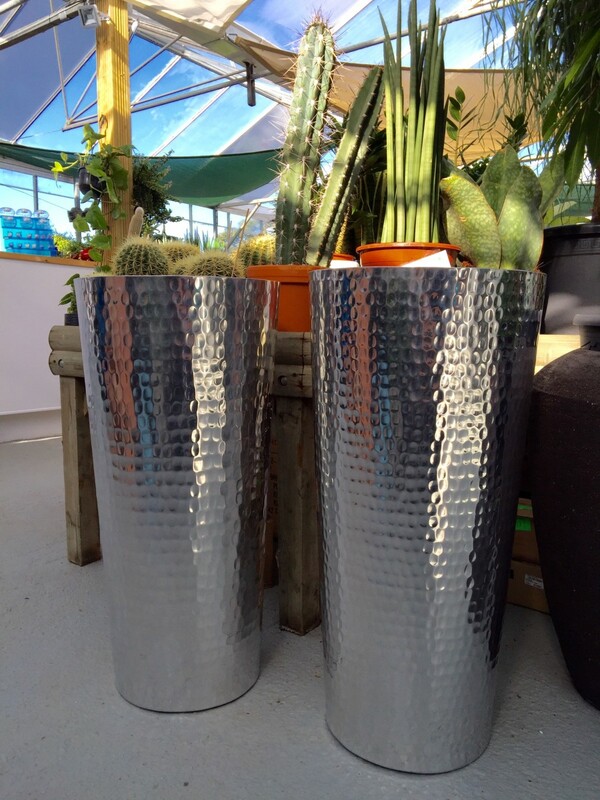 The choice of pot holder or container can dramatically alter the appearance of the plant within. 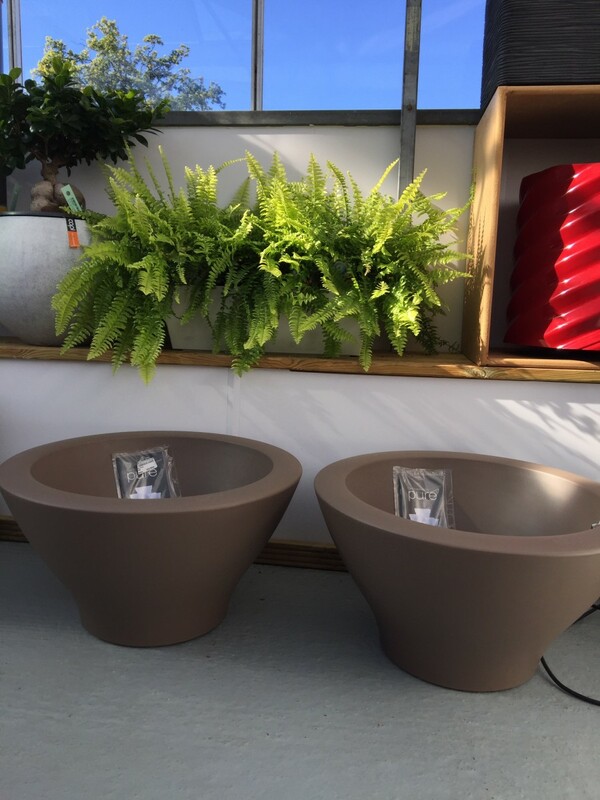 Plants displayed in a low level bowl are ideal for counter tops or occasional tables. 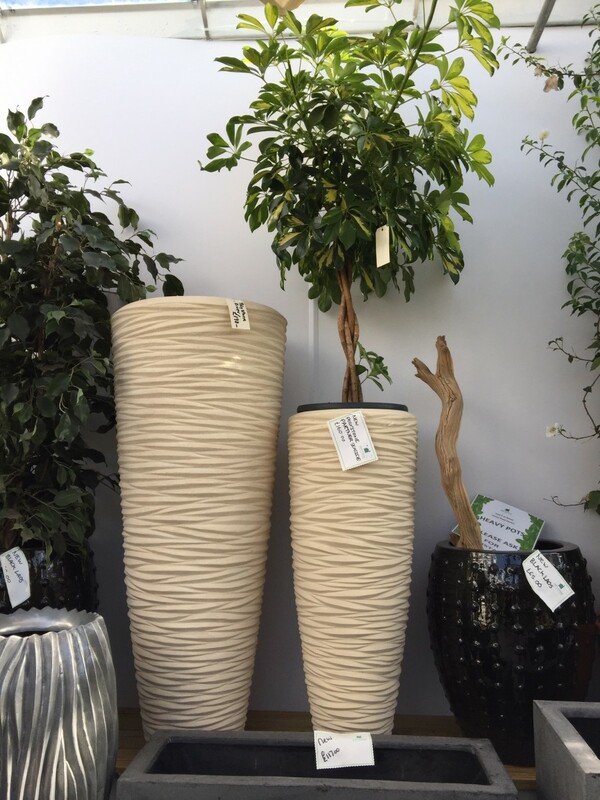 Tall containers raise the foliage which can be very useful in achieving a desired look. 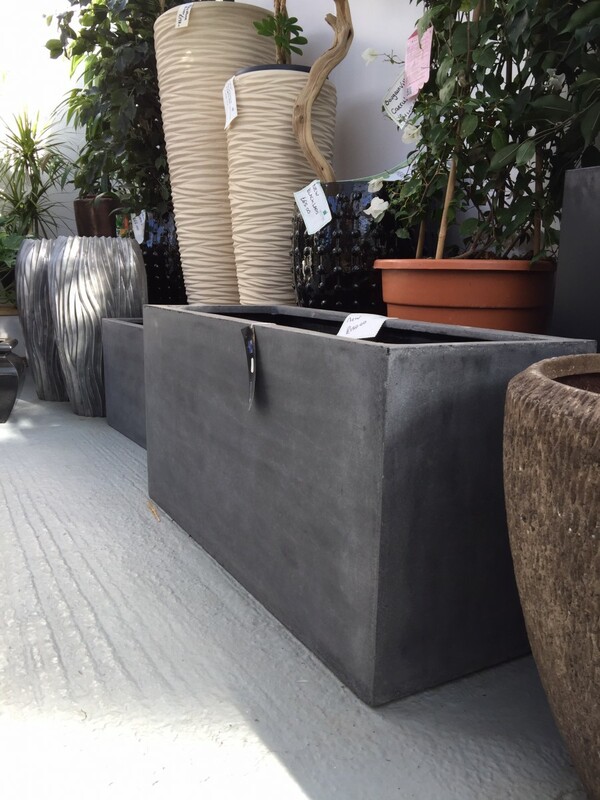 Floor standing containers are ideal for taller or more bulky feature plants. 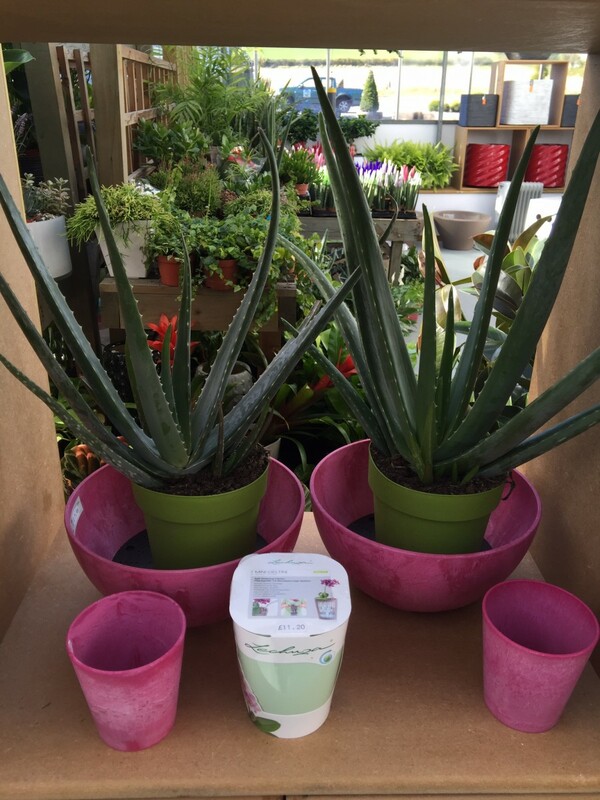 We have a wide range of containers ranging from small potholders to huge planters able to house big feature plants and trees. 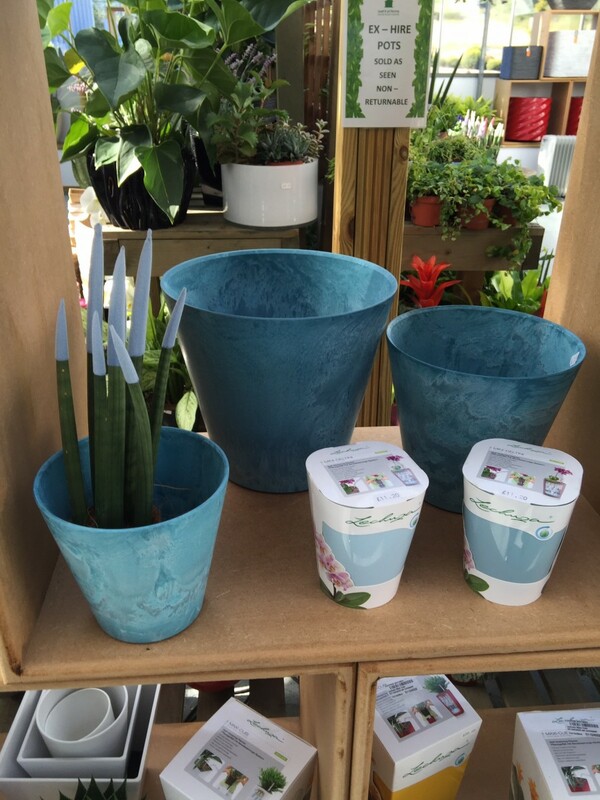 We have containers made from natural materials such as banana fibre or cane, ceramic glazed and man-made materials such as fiberglass and composites. The selection has to be seen to be appreciated. 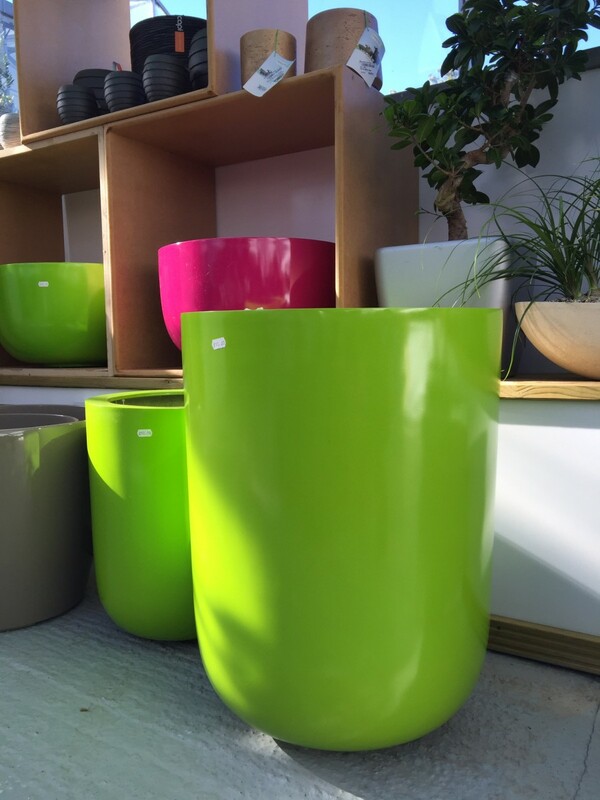 Our container selection offers a wide range of colours to fit with your décor and personal taste. 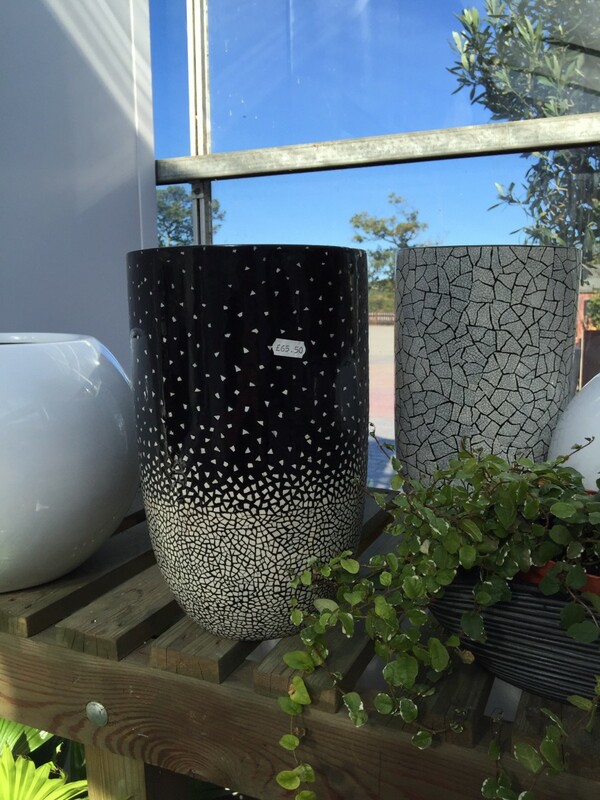 A selection from our container range. Many more in store. 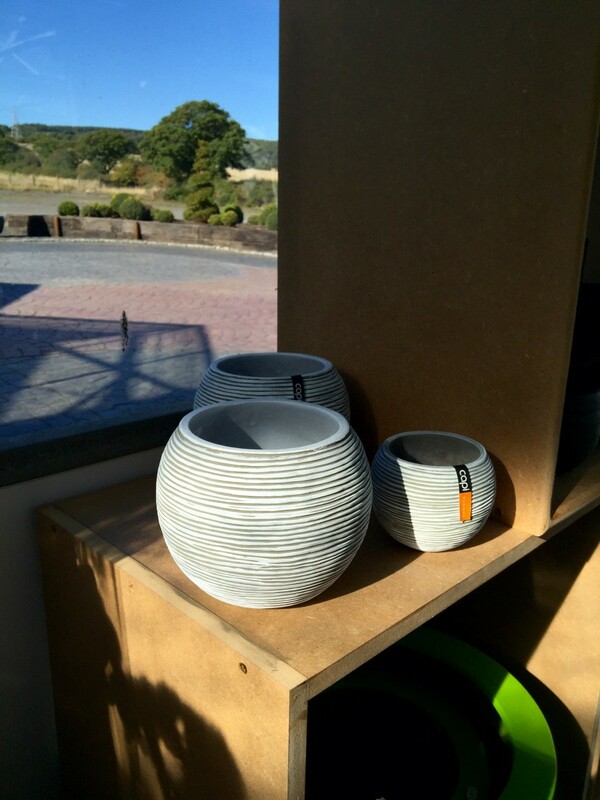 Pure low bowls, 40cm high and 60cm wide. 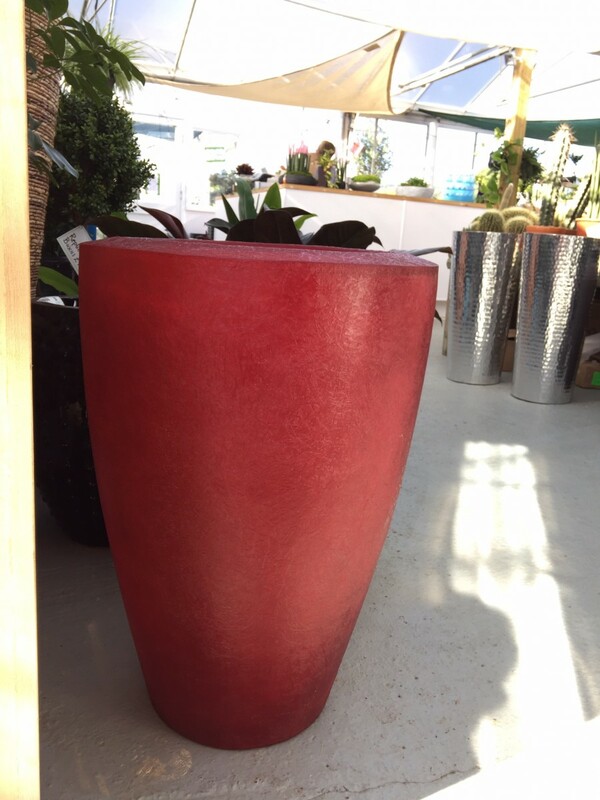 Fiberstone container made from synthetic material. Can be used indoors our outdoors. Available in a range of colours and heights. A selection from the Capi range in black. A wide choice of shapes, sizes and colours available. Capi ribbed bowls shown in three sizes. More sizes and colours available. Synthetic, but made to appear aluminium. Very striking and contemporary. 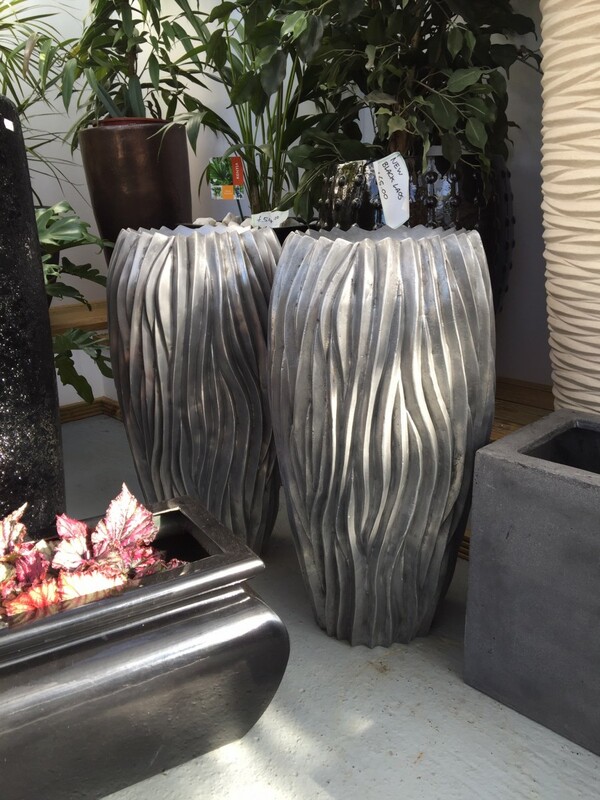 Two different sizes of the Polystone Partner containers, River wave finish. The 60cm height is shown with the standard shape shefflera gold Capella. Fiberstone Jort troughs. A range of sizes and colours. 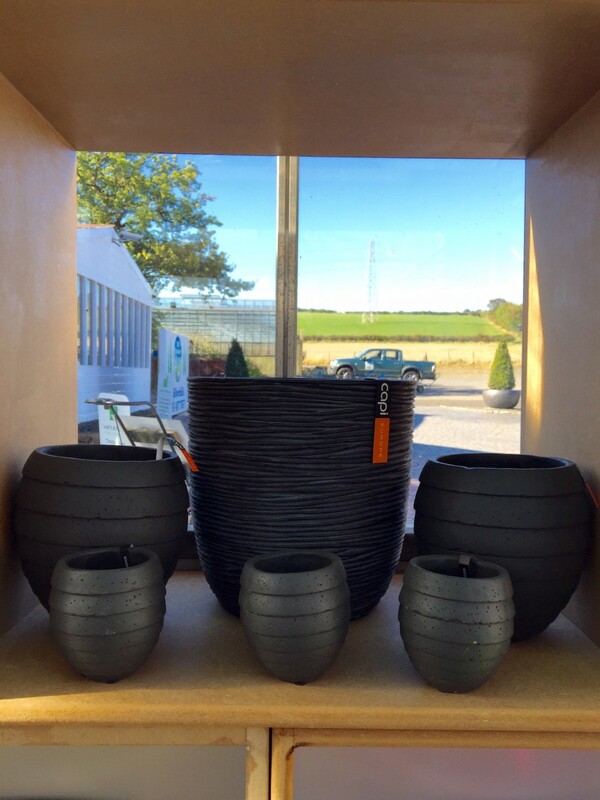 These 100cm long troughs are great to create an instant boundary or containerised hedge. Fiberglass relief containers in red. Egg mosaic containers with their various decorative finishes. 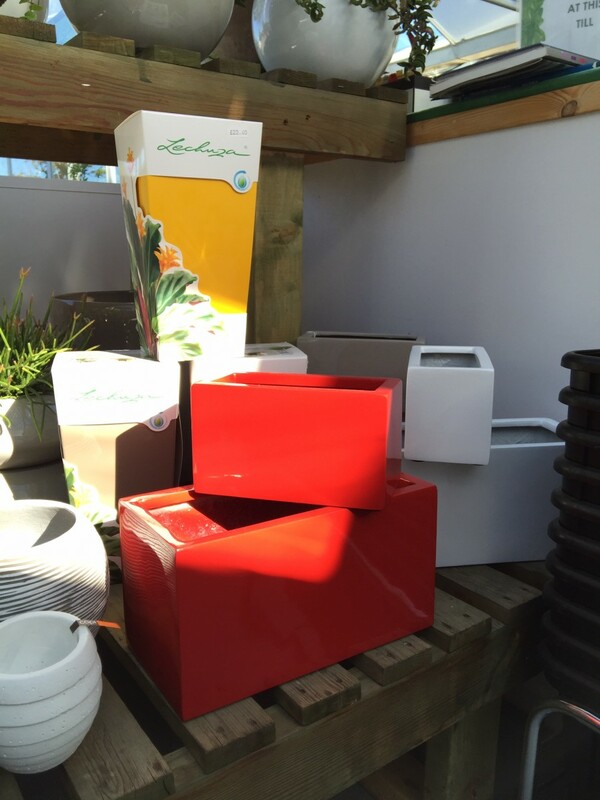 Artstone containers, also available in other colours, shapes and sizes.